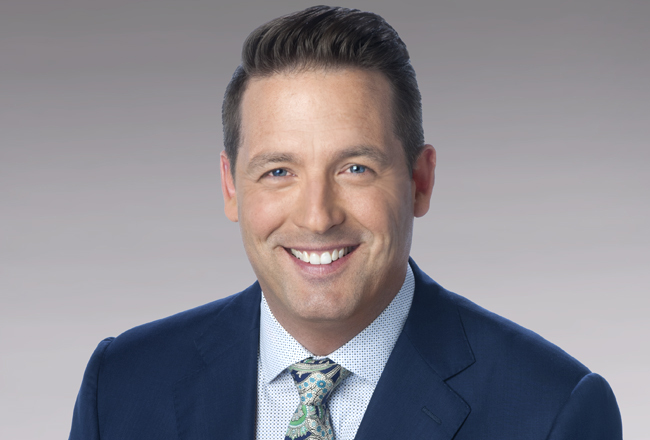 Join Team KSTP captained by 5 Eyewitness Morning News anchor Chris Egert. Sign up today to walk with Team KSTP on February 23rd at the Mall Of America. If you join Team KSTP you will receive a Team KSTP t-shirt and the opportunity to walk with Chris and his friends and families. Please join us to help turn Type One into Type None! In the late summer of 2014, my son Dakota and daughter spent several weeks with Grandma and Grandpa on vacation. After a summer filled with fun and excitement, the kids were looking forward to getting back home to Minnesota and prepare for the school year. One of the things Kota was looking forward to the most was playing football. He eats, breathes, and sleeps football. But on the first days of practice in mid-August that year, he was in the hospital. Dakota had been eating and drinking with even more fervor than normal. In fact, he could not eat and drink enough! He also wasn't gaining any weight. But my wife and I figured he was in the middle of a growth spurt and didn't think much of it. After all, he had always been in the 99% for height; so we assumed he was adding a few more inches. Turns out the reason he was eating and drinking so much was because inside his body there was a battle going on. His pancreas was in the process of no longer producing insulin – a hormone essential to turning food into energy. We were lucky; we caught it before he had ketosis, which is a blood sugar that is so high it can result in a coma or even death. When you get a type 1 diabetes diagnosis, you don't get to gently ease into your lifestyle change. He and his mother spent 3 nights in the hospital, not only making sure that he was ok in the short term, but that he was prepared for the long term changes his life will now require. They learned how to test blood sugar with a finger prick that happens between 5-10 times every day. They learned how to administer insulin shots that happen 4-6 times a day. They learned how to calculate the carbohydrate counts for meals in order for him to be able to eat. All these processes had to be learned before they left the hospital. All this was happening while his buddies were having their first few days of football practice. Eventually he rejoined them on the sidelines, but with some major changes. Now before every practice he must test his blood sugar with a kit he keeps by his side 24/7. Fruit juices, granola bars, and glucose tablets, along with other foods have to be available at all times in the event his blood sugar drops. Those first few practices were fun but stressful for Mom and Coach Dad. Would he be able to play? Would he pass out at any moment? Is this going to hurt him? Will his teammates treat him differently? He quickly showed everyone T1D was not going to keep him down. Dakota now uses an insulin pump, a device that eliminates the shots and some of the daily annoyances of being a diabetic. He also uses a continuous glucose monitor to check his blood sugar levels on his phone ... Just what a teenager needs - more excuses to use their phone! He's going to start high school next year and is looking forward to playing football for the Minnetonka Skippers. Despite all the obstacles that diabetes throws his way, he's doing it all with a smile on his face. We cannot and will not stop let this autoimmune disease keep our son from living his dreams. We cannot and will not stop trying to raise money and awareness for this illness that also killed his Grandfather. We cannot and will not stop fighting for EVERY person with the burden of dealing with diabetes. That's why we walk.